It seems Stone Temple Pilots’ new frontman is feeling up to the job. Today, the band announced 14 new tour dates for spring 2018, their first jaunt to feature singer Jeff Gutt. As expected, the band are also planning to release a new album in 2018. The title and other details are yet to be announced, but you can probably expect to hear “Meadow,” their first new single since adding Gutt to the lineup. Gutt, 41, made his live debut at a warm-up show in Los Angeles last month. He replaces Stone Temple Pilots’ original singer Scott Weiland, who died as a result of an accidental overdose in 2015. Weiland was previously replaced by Linkin Park’s Chester Bennington, who took his own life earlier this year. 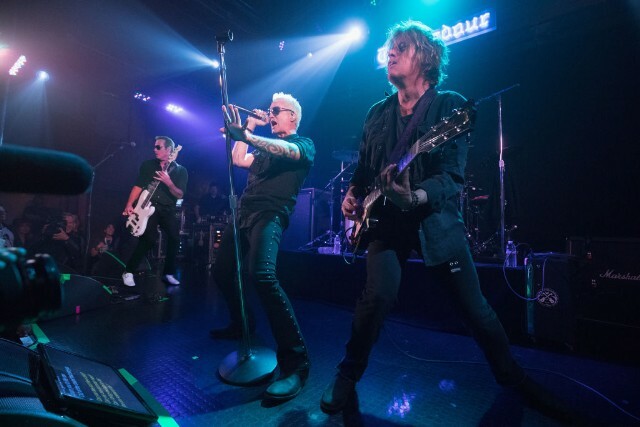 Read the full interview here, and see all of Stone Temple Pilots’ upcoming tour dates below. Tickets go on sale this Friday, December 8, at 1 p.m. ET and may be purchased here.